They say a scent can recall certain memories or remind you of certain places. 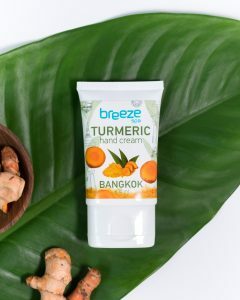 With Breeze Spa’s new hand cream fragrances, we hope to create pleasant memories and absolute bliss everytime you use them. Sand in your hair, wind in the air! 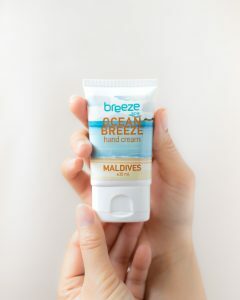 That’s the perfect description of The Maldives’ Ocean Breeze. Clean, breezy, and fresh, the aroma paints a picture of clear waters and breath-taking beaches. Naturally simple, the scent can undoubtedly become everyone’s favourite in no time. 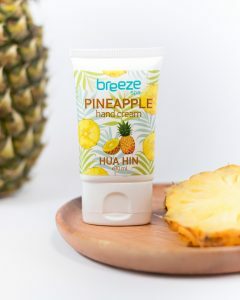 Being everybody’s cherished seaside town, Hua Hin’s sweet and refreshing pineapple scent will absolutely captivate. Tropical yet subtle, Hua Hin’s pineapple can definitely evoke childhood memories of horseback riding and building sand castles by the beach. 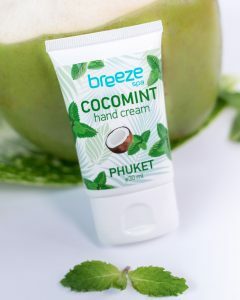 Beachy but with a playful surprise, peppermint is added into tropical coconut to create Phuket’s Cocomint. Known as a lively tourist spot, Phuket is bright, cheerful, and festive, but still a blissful retreat for those who seek relaxation. Phuket’s Cocomint embodies all that. Bangkok’s Turmeric is the definition of free, fierce, fun, with a tinge of spiciness. Known as the King of Spices, turmeric shares similar qualities with Bangkok city, feisty and humming with liveliness. Did you know turmeric also has healing properties in nourishing the skin and releasing stress? Imagine yourself sunbathing on the beach, with coconut juice in hand, wearing your favourite bathing suit. 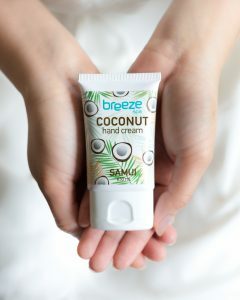 Enhance the island paradise vibes by using Samui’s Coconut scented hand cream. 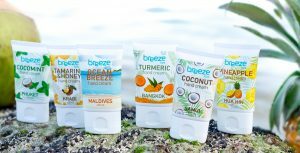 After all, what can smell more like tropical beach paradise than some coconut freshness? 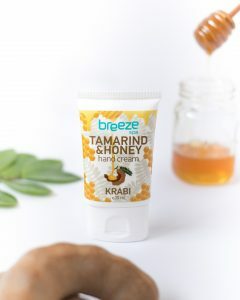 Made from natural ingredients obtained from our local villagers, Krabi’s Tamarind and Honey gives off a nectarous and therapeutic aroma. Being timeless ingredients used for medicinal purposes for centuries, tamarind and honey definitely have their fascinating qualities. Just like Krabi, magical, classic, and eternally beautiful.